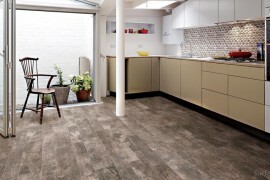 Ceramic parquet combines the look and feel of wood with the strength and durability of ceramic. 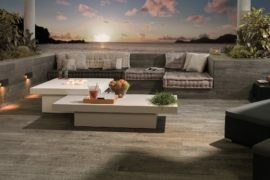 Imbued with the lifelike features of natural wood, such as grain and texture, ceramic parquet is wonderfully realistic and offers many aesthetic and practical design solutions. And here’s more about it. Par-Ker is the original Porcelanosa ceramic parquet; truly innovative, it has been at the forefront of the genre for the past thirty years. 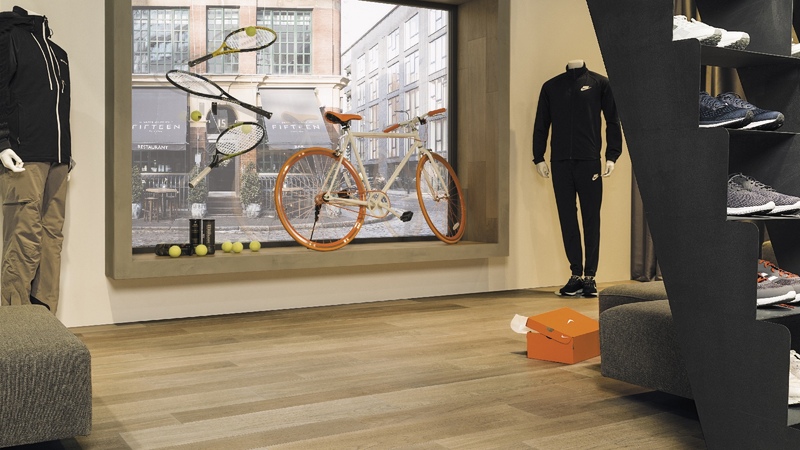 Employing highly developed ceramic technology, Par-Ker provides flooring and cladding solutions for a great many indoor and outdoor environments. Inspired by the noble qualities of wood, Porcelanosa’s Par-Ker collection is distinctive, versatile and true to life, its appearance both detailed and naturalistic. Par-Ker original ceramic parquet (parket). The decorative features of the Par-Ker collection are aesthetically pleasing and technically brilliant. Par-Ker ceramic parquet is inalterable, and very resistant to everyday wear and tear. Porcelanosa is proud of the fact that the quality of its Par-Ker ceramic parquet will endure for many years. The Par-Ker Delaware collection includes finishes that are inspired by oak, maple and beech. As a notable feature, they can reproduce a different pattern in each finish. 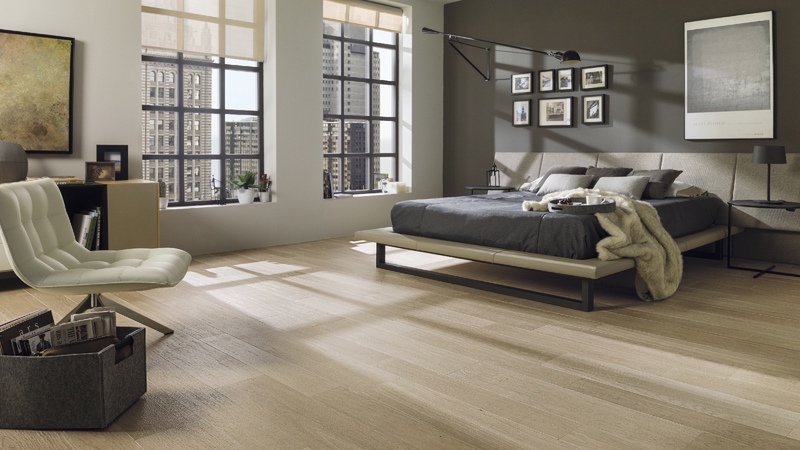 In keeping with Porcelanosa’s commitment to quality, Par-Ker ceramic parquet has many notable features. They include: durability, inalterability, ease of cleaning, fire resistance, resistance to slipping, anti-humidity and a commitment to ecology. 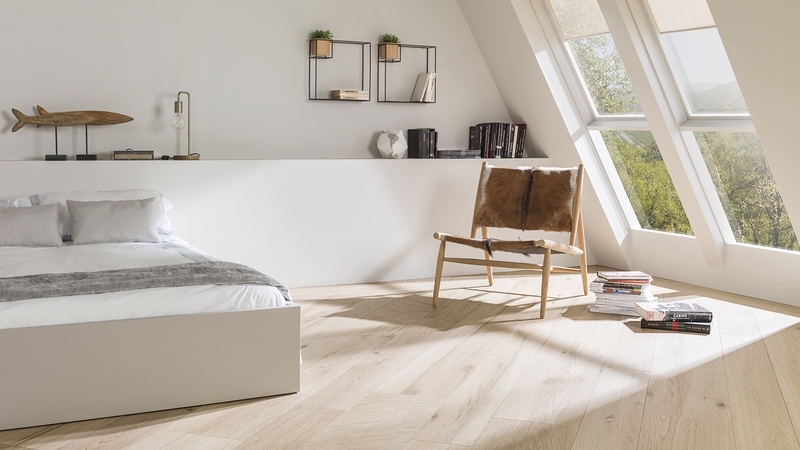 Par-Ker Delaware ceramic parquet adds a homey warmth and character to this bedroom setting. Great durability is a hallmark of the Porcelanosa Grupo and Par-ker reflects Porcelanosa’s history of pioneering ceramic production. A long-life material, Par-Ker bears up against the erosion caused by daily use. Its inalterability safeguards Par-Ker’s smart appearance and it requires no excessive maintenance after installation. 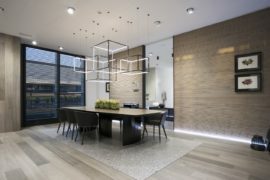 The material make-up of Par-Ker ensures a fire resistant standard; as such, Par-Ker ceramic parquet is suited to residential, hospitality and commercial settings. With its durability, Par-Ker is also an ideal surface solution for areas with a lot of pedestrian traffic, especially those requiring a non-slip finish. Nanotechnology is applied in the production of Par-Ker and thus Porcelanosa is able to make flooring with a clever non-slip quality. 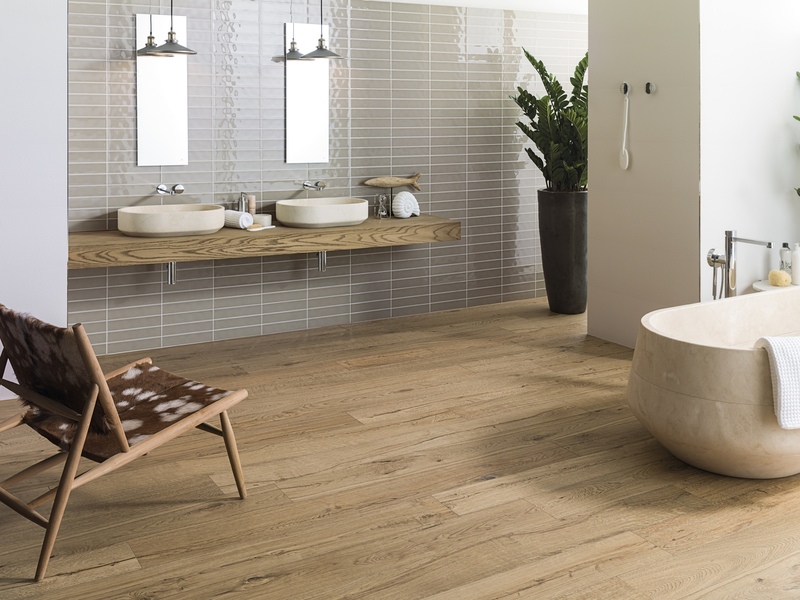 Par-Ker Delaware ceramic parquet is the perfect flooring solution for this minimal bathroom. Warm, long-lasting and easily maintained, it adds a naturally inspired aesthetic finish. 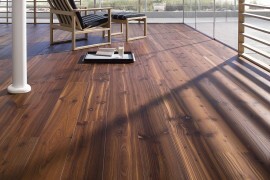 Humidity is typically an issue when using real wood flooring and cladding in bathrooms, kitchens and poolside areas. With its anti-humidity property and a low porosity, Par-Ker can be used with confidence and ease in such spaces. As a result, bathrooms, kitchens, poolsides and more, can benefit from the character and beauty of an elegant wood-like finish. Par-Ker is also suitable for radiant heating, a perfect fuss-free heating solution for cold winter months. Par-Ker Forest ceramic parquet reproduces the texture, tonality and veining of natural wood. 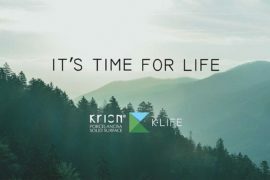 Extremely ecological, Forest has a composition of recycled material greater than 95% (it is made from the solid ceramic waste generated during the production process of other Porcelanosa collections). Forest’s production process also reduces its CO2 emission impact by 40%. 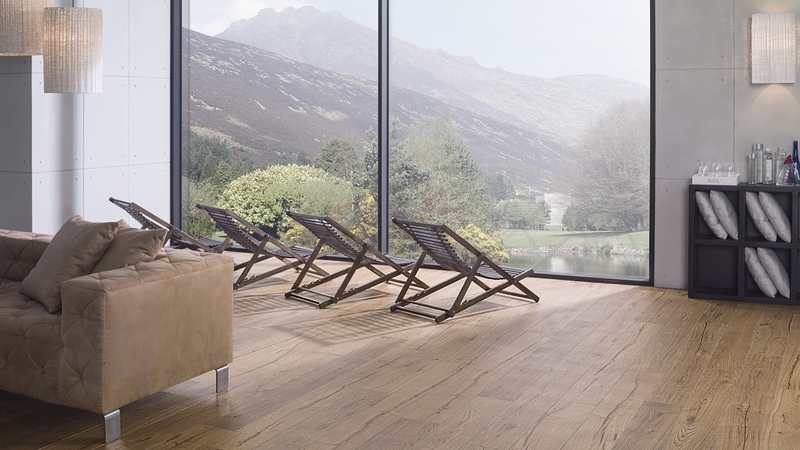 Par-Ker ceramic parquet is eco-friendly and produced as part of Porcelanosa’s Ecoproject. 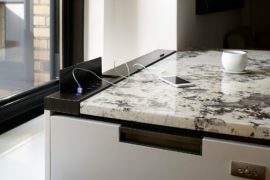 This environmentally aware project considers the absolute importance of air, energy, water, recycling and nature/ecology, in the manufacturing processes of Par-Ker. It may be a cliché, but the old adage ‘life is made for living’ is a heartfelt motto. In living, we should surround ourselves with the things that we love, creating spaces where we feel a sense of joy and comfort. #MyParkerLife is a commitment made by Porcelanosa over the past thirty years. In creating Par-Ker, Porcelanosa developed a technologically advanced ceramic parquet, made for those projects pursuing distinctive, aesthetic ideals, yet unaltered by real life. With its recycled composition, the Forest series offers high quality at a more affordable price, compared with other ceramic parquets by Par-Ker. As an ideal solution for larger surface areas, Forest ceramic parquet is perfect for the property, hotel and contract markets. 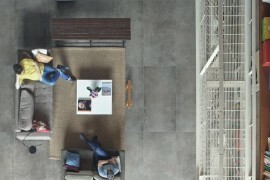 The #MyParkerLife manifesto describes a number of key principles, including: defending good design—through innovation, technology, aesthetics and functionality—and so revolutionising the daily life of the user; braving the unpredictable, embracing life and change as it happens; making life easier, with design that promotes a sense tranquility and balance; focusing on the essentials, minimising the use of resources and protecting the environment. In this bedroom setting, Par-Ker Forest ceramic parquet adds a soft and calming ambience. In essence, Par-Ker is about easy living. Get involved by using #MyParkerLife and the motto ‘Par-Ker, easy living’ on Twitter @Porcelanosa_EN @Porcelanosa_es and on Instagram at porcelanosa_grupo.